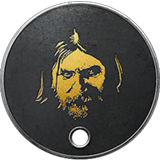 This is the default Front Side of your dog tag. Awarded for reaching Rank 10. Awarded for reaching Rank 20. Awarded for reaching Rank 30. Awarded for reaching Rank 40. 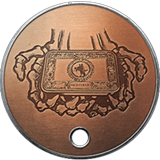 Awarded for reaching Rank 50. Awarded for reaching Rank 60. Awarded for reaching Rank 70. Awarded for reaching Rank 80. Awarded for reaching Rank 90. Awarded for reaching Rank 100. Awarded for reaching Rank 110. Awarded for winning 100 matches of Frontlines. Awarded for winning 1 round on each They Shall Not Pass map. Awarded for reaching Rank 120. 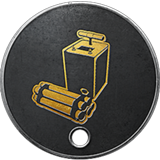 Awarded for winning 50 matches of Supply Drop. Awarded for winning 1 round on each In the Name of the Tsar map. Become a Battlefield Insider and get in-game rewards, exclusive content, and sneak peeks at news about Battlefield. 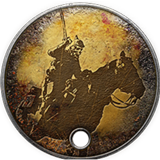 Thank you for helping Battlefield 1 be the best it can be! Legend speaks of a cold and silent winter night where soldiers on the battlefield from all sides would join each other in celebration and peace. 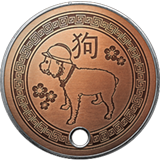 To all Battlefield 1 players in Japan, we greatly appreciate your continued support and would like to reward you with this Sakura dog tag. The Supporters Choice: Freshly brewed German beverage. Enjoy! These nesting dolls from Russia sometimes contain a surprise! Creating better games with Game Changers. Time flies when you’re creating all-out war. Here’s to another quarter-century. Continuing the tradition. 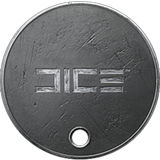 Players awarded with this Dog Tag are considered DICE Friends. Thank you for being part of the community. I am a Battlefield Veteran. 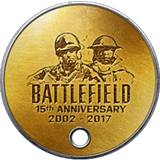 To players who helped us make Battlefield a better experience. Thank you! 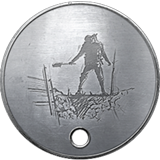 I got this dog tag from a Battlefield Game Changer. Come and play some Battlefield with us. 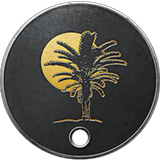 Search for #FridayNightBattlefield on your server browser. Roses are red, violets are blue. 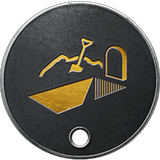 Revive your teammates, and spot for them too. Enjoy your Easter egg hunt – and remember to search on the battlefield as well. Going on adventures and exploring new ground is this one’s specialty. They are known to be impulsive and may cause a thing or two to go boom. This one is an honest and freedom-loving person. They are known to become careless and blindly charge into battle. This one is ambitious, patient and careful. Do not mess with this one as they do hold grudges. This one is very independent but loyal and honest. They are known to be unpredictable and in some cases perverse. This sensitive and compassionate one is selfless. However, they do hold many secrets and love to work in the dark. This one is reliable and determined in battle. They do get jealous and may resent others with better gear. This one loves to socialize, communicate and play on words. They are known to be cunning and superficial at times. This one is emotionally involved, they use imagination to solve problems. Their mood swings however… be on the lookout for that. This one is generous and enthusiastic. They will help a friend in need but they might be too bossy at times. This one is intelligent and analytical. They become harsh when they are fussy, so make sure to stand out of their way. This one is peaceful and diplomatic, which makes them unreliable. They are known to be easily influenced so be sure to take advantage of that. Power and determination are this one’s key weapons. But with power comes emotions, and that is why they are known for their jealousy and obsession. This Dog Tag is your special prize offered by ThinkGeek. Enjoy unique and authentic experiences and be part of Battlefield. Welcome to the epic world! Hundreds of pieces of art were created for Battlefield 1. 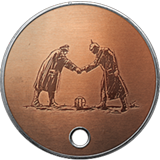 This Dog Tag is a gift to all players who purchased the standard edition of the Art of Battlefield 1. Elevating the art of play. PDP has designed the Battlefield 1 controller that connects you with the game. Awarded for bringing Battlefield on the go by claiming this Dog Tag from the Companion mobile app. 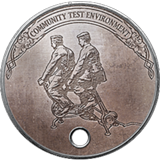 Awarded to players who launch the Origin Access Battlefield 1 trial. With Origin Access you can explore a growing collection of EA's best PC games, try EA games early, get discounts and more. Awarded to players who make the best choices with AMD Radeon™ Graphics. Enabling players with cutting-edge technology and supreme performance. 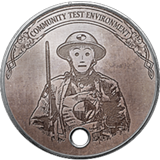 Awarded for reaching Class Rank 1 with Assault. Awarded for reaching Class Rank 1 with Medic. Awarded for reaching Class Rank 1 with Scout. Awarded for reaching Class Rank 1 with Support. 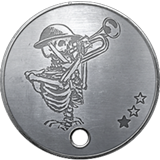 Awarded for reaching Class Rank 1 with Tanker. Awarded for reaching Class Rank 1 with Pilot. 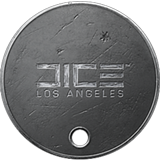 This is the default back side of your dog tag. Awarded for reaching Class Rank 10 with Pilot. 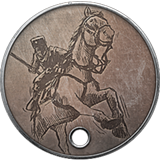 Awarded for reaching Class Rank 1 with Cavalry. 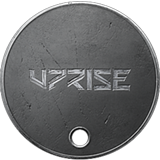 Awarded for reaching Class Rank 50 with Assault. Awarded for reaching Class Rank 50 with Medic. Awarded for reaching Class Rank 50 with Scout. Awarded for reaching Class Rank 50 with Support. 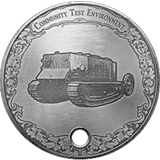 Awarded for reaching Class Rank 50 with Tanker. Awarded for reaching Class Rank 50 with Pilot. 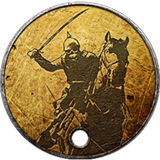 Awarded for reaching Class Rank 50 with Cavalry. Awarded for obtaining the Order of St. Christopher. 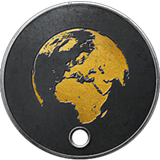 Awarded for obtaining the Legion of Glory. Awarded for obtaining the Order of Hippocrates. Awarded for obtaining the Order of the Falcon. 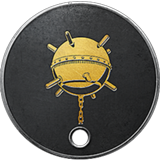 Awarded for reaching Class Rank 10 with Assault. Awarded for reaching Class Rank 10 with Medic. Awarded for reaching Class Rank 10 with Scout. Awarded for reaching Class Rank 10 with Support. 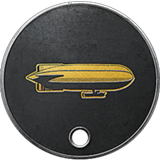 Awarded for reaching Class Rank 10 with Tanker. Awarded for reaching Class Rank 10 with Cavalry. Awarded for reaching Class Rank 20 with Assault. Awarded for reaching Class Rank 30 with Assault. Awarded for reaching Class Rank 40 with Assault. 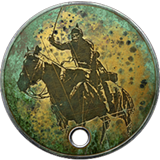 Awarded for reaching Class Rank 20 with Cavalry. 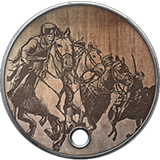 Awarded for reaching Class Rank 30 with Cavalry. 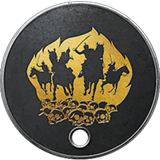 Awarded for reaching Class Rank 40 with Cavalry. Awarded for reaching Class Rank 20 with Medic. Awarded for reaching Class Rank 30 with Medic. Awarded for reaching Class Rank 40 with Medic. Awarded for reaching Class Rank 20 with Pilot. Awarded for reaching Class Rank 30 with Pilot. Awarded for reaching Class Rank 40 with Pilot. Awarded for reaching Class Rank 20 with Scout. Awarded for reaching Class Rank 30 with Scout. Awarded for reaching Class Rank 40 with Scout. Awarded for reaching Class Rank 20 with Tanker. 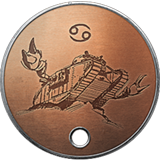 Awarded for reaching Class Rank 30 with Tanker. 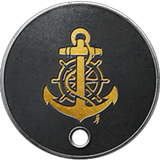 Awarded for reaching Class Rank 40 with Tanker. Awarded for reaching Class Rank 20 with Support. Awarded for reaching Class Rank 30 with Support. Awarded for reaching Class Rank 40 with Support. Awarded for obtaining the Newtonian Order of Military Merit. Awarded for obtaining the Royal Order of the Imperial Crown. Awarded for obtaining the Star of Alexander. Awarded for obtaining the Order of the Iron Star. Awarded for obtaining the Order of Augustus. Awarded for obtaining the Order of Icarus. Awarded for obtaining the Order of the Golden Heart. Awarded for obtaining the Assault Order of Valor. Awarded for obtaining the Assault Order of LeFever. Awarded for obtaining the Medic Order of Valor. Awarded for obtaining the Support Order of Valor. Awarded for obtaining the Scout Order of Valor. Awarded for obtaining the Lightning Cross Order. Awarded for obtaining the St. Sebastian's Order. Awarded for obtaining the Order of the Red Dragon. Awarded for obtaining the Order of the Lion. Awarded for obtaining the Order of Fortitude. Awarded for obtaining the Crown of Frederick II. 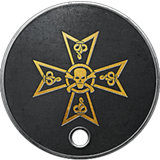 Awarded for obtaining the Charlemagne Cross. Awarded for obtaining the Star of Dominion. Awarded for obtaining the Legion of the Skull. Awarded for obtaining the Avian Cross. Awarded for obtaining the Royal Order of the Stag. Awarded for obtaining the Order of the Sniper Guard. 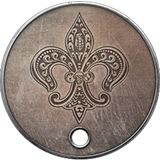 Awarded for obtaining the Crimson Heart. Awarded for obtaining the Legion of Sacred Unity. Awarded for obtaining the Legion of Blood. Awarded for obtaining the Legion of the Wolf. Awarded for obtaining the Order of the Bull. Awarded for obtaining the Order of the Khan. 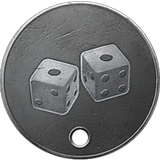 There is no such thing as luck, skill is the only thing that matters. I got my wings, now I am free. Once you kill your prey, you need to finish the work and dig them a grave. The Saker falcon is your trusty companion that helps you hunt on the Battlefield. BOOM HEADSHOT, BOOM HEADSHOT, BOOM... HEADSHOT! The road to greatness starts here. Centuries-old empires fell and many new nations were established from their ashes. All major combatants of the World War I used poison gas at one point or another. One million artillery shells per hour. Unlike birds, they're worth more in the bush. Catch some time in the shade after a hard fought victory. It's important to wear proper head gear to avoid excessive lens flare. Awarded for obtaining 100 kills with the Mondragón. Awarded for obtaining 100 kills with the M1907 SL. Awarded for obtaining 50 kills from horseback. 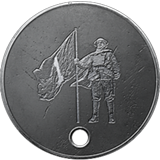 Awarded for obtaining 100 kills with the Automatico M1918. 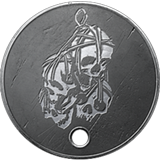 Awarded for obtaining 100 kills with the Hellriegel 1915. 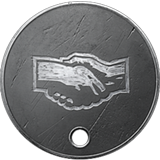 Awarded for obtaining 100 kills with the MP18. Awarded for obtaining 100 kills with the 12g Automatic. 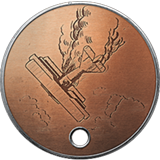 Awarded for obtaining 100 kills with the Model 10-A. 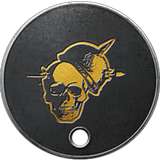 Awarded for obtaining 100 kills with the M97 Trench Gun. Awarded for obtaining 100 kills with the Selbstlader 1906. 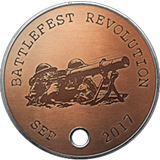 Awarded for obtaining 100 kills with the Model 8 Autoloading. Awarded for obtaining 100 kills with the Cei-Rigotti. Awarded for obtaining 100 kills with the Selbstlader M1916. 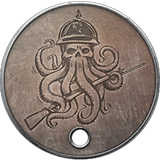 Awarded for obtaining 100 kills with the Martini-Henry. Awarded for obtaining 100 kills with the M1903. Awarded for obtaining 100 kills with the SMLE MKIII. Awarded for obtaining 100 kills with the Gewehr 98. Awarded for obtaining 100 kills with the Gewehr M.95. Awarded for obtaining 100 kills with the Russian 1895. Awarded for obtaining 100 kills with the BAR M1918. Awarded for obtaining 100 kills with the Huot Automatic. Awarded for obtaining 100 kills with the MG 15 n.A. Awarded for obtaining 100 kills with the M1909 Benet Mercie. 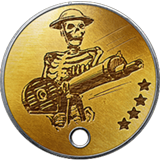 Awarded for obtaining 100 kills with the Lewis Gun. Awarded for obtaining 100 kills with the Madsen MG. Awarded for obtaining 100 kills with the Bull Dog Revolver. Awarded for obtaining 100 kills with the Frommer Stop. Awarded for obtaining 100 kills with the Mle 1903. Awarded for obtaining 100 kills with the 1903 Hammerless. 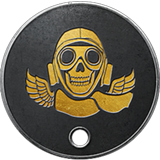 Awarded for obtaining 100 kills with the Taschenpistole M1914. Awarded for obtaining 100 kills with the Kolibri Pistol. 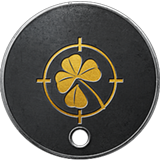 Awarded for obtaining 100 kills with the C-93. Awarded for obtaining 100 kills with the Gasser M1870. Awarded for obtaining 100 kills with the Mars Automatic. 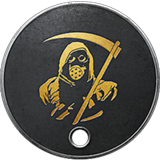 Awarded for obtaining 100 kills with the Repetierpistole M1912. Awarded for obtaining 100 kills with the Modello 1915. 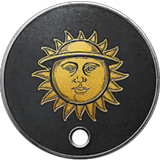 Awarded for obtaining 100 kills with the M1911. Awarded for obtaining 100 kills with the Howdah Pistol. 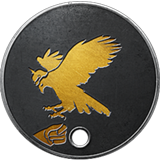 Awarded for obtaining 100 kills with the P08 Pistol. Awarded for obtaining 100 kills with the C96. 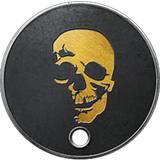 Awarded for obtaining 100 kills with the Auto Revolver. Awarded for obtaining 100 kills with the No. 3 Revolver. 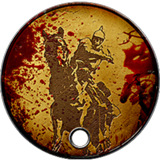 Awarded for obtaining 100 kills with the Bodeo 1889. Awarded for obtaining 100 kills with Melee Weapons. Awarded for obtaining 100 kills with Grenades. Awarded for obtaining 100 kills with Mines. 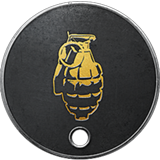 Awarded for obtaining 100 kills with the AT Rocket Gun. 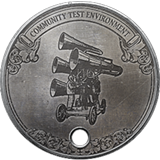 Awarded for obtaining 100 kills with Dynamite. 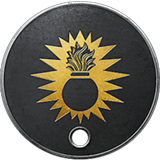 Awarded for obtaining 100 kills with Mortar. Awarded for obtaining 100 kills with Tripwire Bombs. Awarded for obtaining 50 kills with Elite Class Weapons. Awarded for obtaining 100 kills with the Ribeyrolles 1918. Awarded for obtaining 100 kills with the Sjögren Inertial. 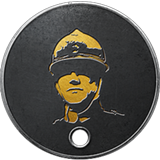 Awarded for obtaining 100 kills with the RSC 1917. Awarded for obtaining 100 kills with the Chauchat. 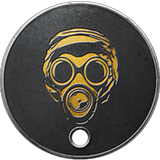 Awarded for obtaining 100 kills with the Lebel Model 1886. 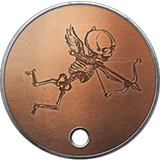 Awarded for obtaining 100 kills with Crossbow Launchers. Awarded for obtaining 100 kills with the Model 1900. 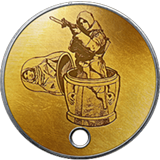 Awarded for obtaining 100 kills with the SMG 08/18. 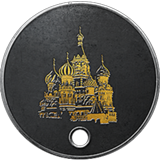 Awarded for obtaining 100 kills with the Fedorov Avtomat. Awarded for obtaining 100 kills with the General Liu Rifle. Awarded for obtaining 100 kills with the Parabellum MG14/17. Awarded for obtaining 100 kills with the Perino Model 1908. 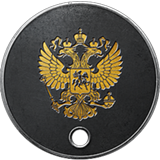 Awarded for obtaining 100 kills with the Mosin-Nagant M91. Awarded for obtaining 100 kills with the Vetterli-Vitali M1870/87. 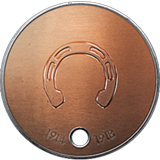 Awarded for obtaining 100 kills with the Nagant Revolver. Awarded for obtaining 100 kills with the Obrez Pistol. Awarded for obtaining 100 kills with the C93 Carbine. 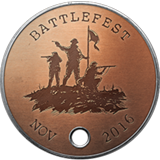 Awarded to players who joined the Battlefield 1 Open Beta and completed the Beta challenge. Awarded to players who completed "The Road to Battlefield 1" missions in Battlefield 4 or Battlefield Hardline. Awarded to players who joined the Battlefield 1 Closed Alpha and completed the Alpha challenge. 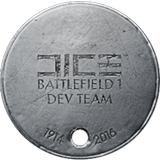 Awarded to developers who made Battlefield 1. 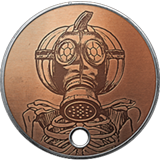 Awarded to players who attended any of the Battlefield 1 real life events. 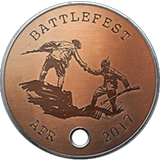 Awarded to players who attended any of the Battlefield 1 online events. 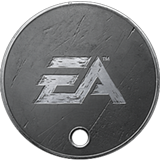 Awarded to the first players on Battlefield 1 with Origin Access that have launched the EA Access Play First trials. 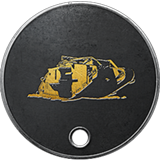 Awarded for obtaining 100 kills as a Tanker. 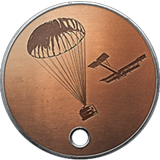 Awarded for obtaining 100 kills as a Pilot. Awarded for obtaining 50 kills with Behemoth Weapons. Awarded for obtaining 100 kills with Stationary Weapons. 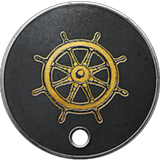 Awarded for obtaining 100 kills with Boat Weapons.